We got out of our car in a narrow by-lane of Bikaner. It was getting dark too. And then we walked some distance to reach Mr Mahaveer Swami’s workshop. 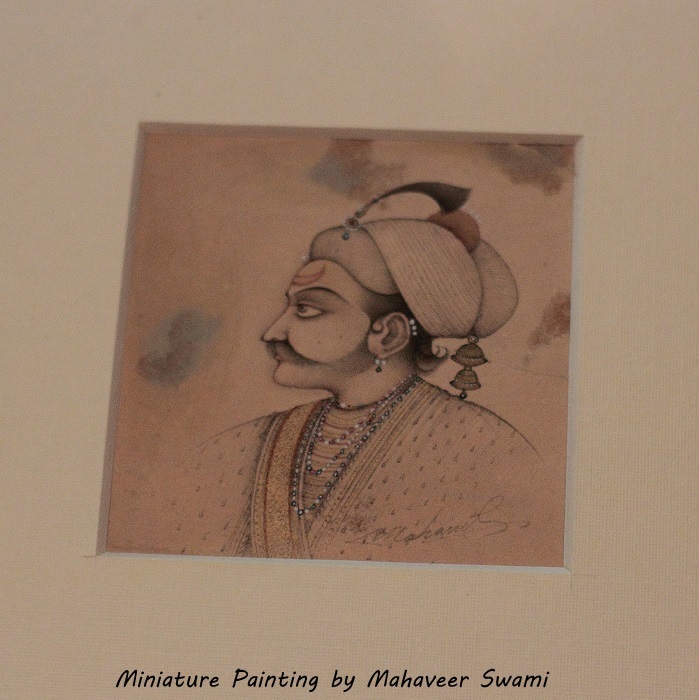 Mr Mahaveer Swami is a renowned painter from Bikaner, he does art in the miniature form. Almost all his paintings sell in six figures and more. Yet there he was, in his pajama kurta, simple and almost reluctant to speak! 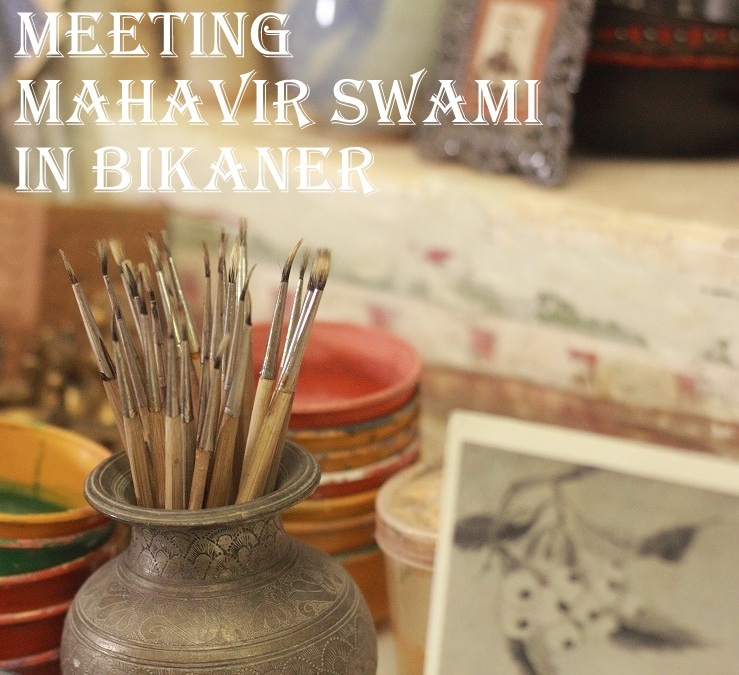 It was my privilege meeting Mahaveer Swami the famous miniature painter from Bikaner! 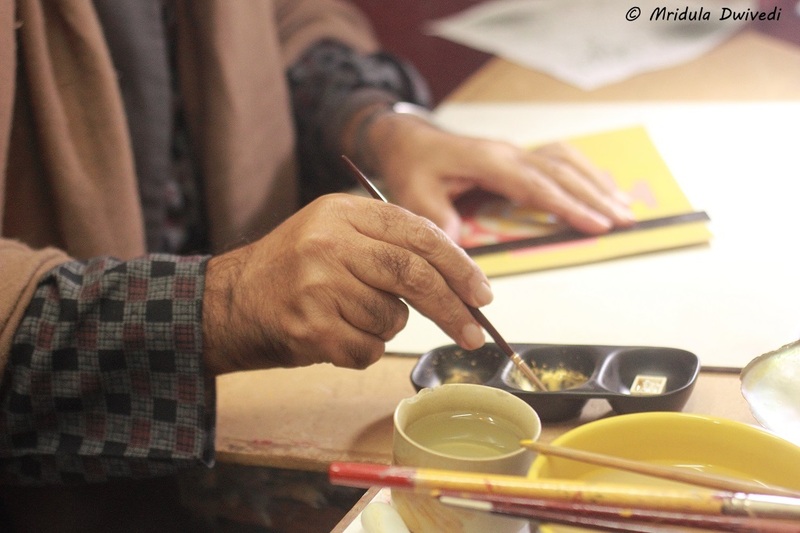 Mr Swami makes his own paints, he makes his own brushes and he sometimes uses sea shells as his palette! He has a studio where he gets at the crack of the dawn to paint. 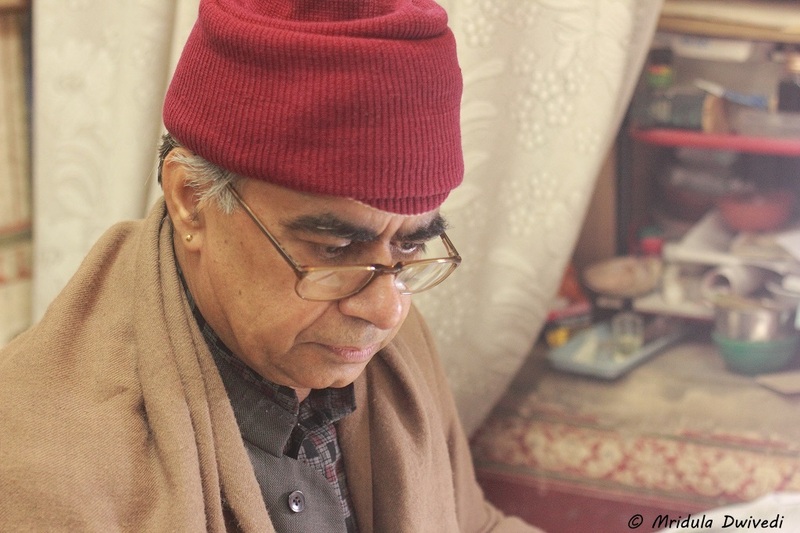 When we were fiddling with some of his things he very politely told us- “मैं यहाँ अँधेरे में आता हूँ, मुझे सब पता होता है कहाँ है सो कृपया मेरी चीज़ें ना हटाएँ|” Basically he told us with infinite politeness not to disturb things on his table as he starts working in the dark, and he knows where everything is kept exactly! I, of course, do not have any deep understanding of paintings or art. 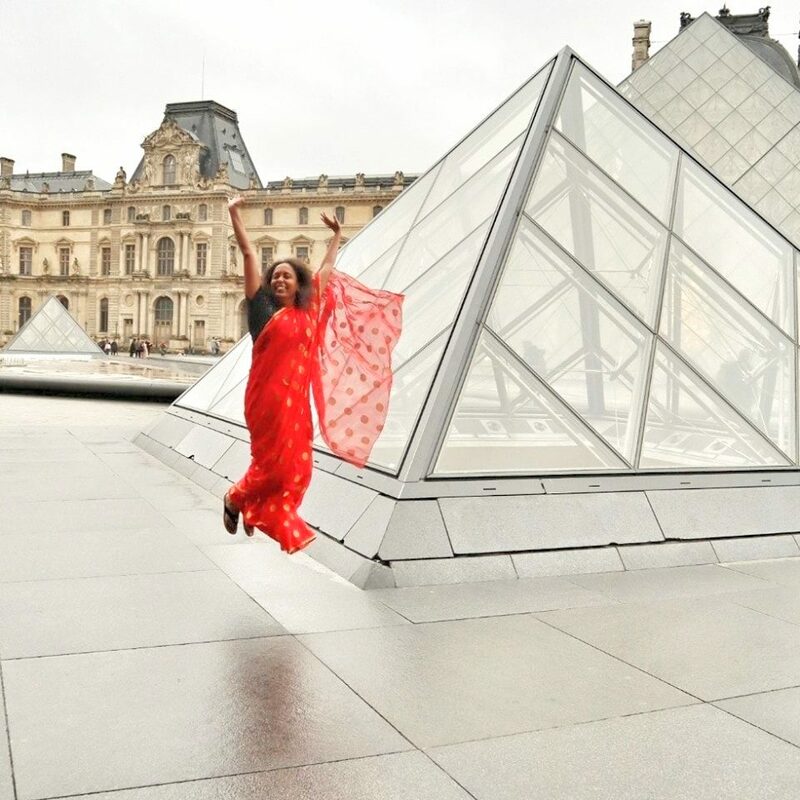 But what I saw clearly impressed me, more by the man who exhibits all over the world and yet is so rooted! In fact, before heading to his home Ram from Narendra Bhawan, said, “I call him this before we are 10 minutes away from his house, if he is in then we go visit him; if not then we go back to the hotel!” And yet he is simplicity personified, I don’t think they make too many like him anymore. He takes six month long master classes for serious painters at his studio, he has a guest house above it. He gets students from all over the world. He paints scenes from Indian classics but he also gives some of his paintings a contemporary touch. I quite liked his traditional businessman with a cell phone! I loved most his painting of a Sufi though but I can’t find a picture of it! He was reluctant to talk initially, we had to literally make him talk about this work. Gradually he showed us his stuff, like paintings of the cricketers which is he is doing on commission, mandalas and other works in progress. I am so inspired by him, I wish more people could keep their heads on their shoulders in spite of being so successful!